Image Credit: Congaree National Park, "White-Tailed Deer"
While people continue to voice their opinions on the decision to shoot 17-year-old silverback gorilla Harambe at the Cincinnati Zoo in May, another recent controversial wildlife story seemingly vanished out of the news and people’s minds: The decision by Yellowstone National Park rangers to kill a newborn bison after a father and son, Shamasha and Shakeel Kassam, loaded the baby animal into the trunk of their truck because they thought its mother had abandoned it. Killing wild animals isn’t something zookeepers or park rangers take lightly. The inappropriate intervention of human beings into the lives of wild animals in human-engineered environments resulted in two sad endings to two animals’ lives. Anywhere there are humans — whether at a zoo, a suburban backyard, or a national park— we inevitably interact with other animals. Some interactions can help animals survive, such as leaving bird food out for wild migrants in the wintertime. Or human actions can have deadly consequences, such as separating a newborn bison from its mother or yelling and screaming when a young boy climbs into a gorilla’s exhibit at a zoo. As a science writer and licensed wildlife rehabber, I see or hear about human-animal interactions on a near-daily basis. Before I took to writing full time, I worked in a wildlife hospital in New York as a clinic assistant — cleaning, feeding, and administering medical treatments to orphaned, sick, and injured wild creatures. In the hospital, I encountered my very own Yellowstone baby bison situation. 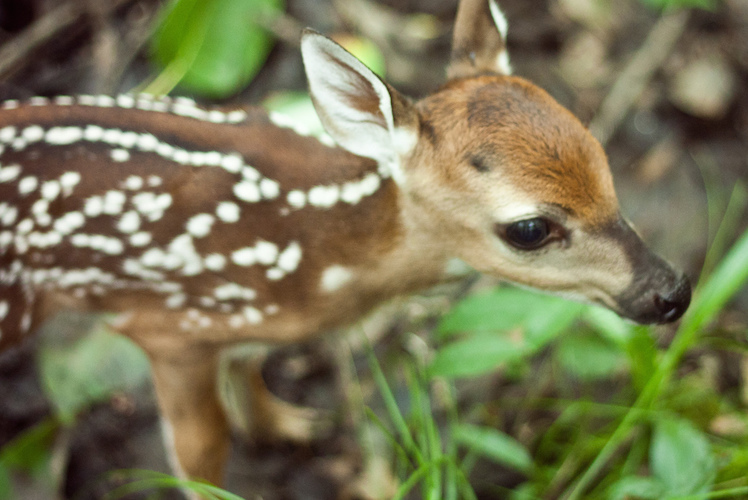 Instead of a bison calf, the situation involved a newborn deer. It was late afternoon on a humid August day and the volunteers had already gone home. In summertime, injured animals seem to fall out of the sky, so the staff still had a lot to do after our 8am­–4pm “work day” ended: baby animal feedings, cage cleanings, and medications to administer. Finally, at about 5pm, after all animals were cared and accounted for, we readied to leave for the day. I was washing syringes in the aluminum exam room sink when my director charged through the door, her face red and streaked with sweat, lips tight and eyebrows curled in frustration. There was a large cardboard box in her arms. A loud, desperate cry not unlike that of a baby human was coming from the box. I could see a New York State park ranger behind the door, clad in a green polo shirt and mud-streaked khaki pants. He stood next to a sobbing woman in a sundress, who was clutching the hand of a wide-eyed teenager, who appeared to be her son. “We just saw him alone and crying,” said the woman between heavy gasps of air. “Just fill out the form, please,” my director coolly called to the woman. Then she turned to me and thrust into my arms the mysterious crying box. “Take him outside while I figure this out,” she whispered through gritted teeth. I used my hip to push open the decrepit old door that led to the yard. Once outside, I gingerly placed the box in the shade, sat down next to it, and then peeled open its flaps. Inside was a crying, wobbly fawn, introduced to the world not more than an hour or two earlier, his umbilical cord still hanging from his belly. I gazed into his enormous dark brown eyes and saw both confusion and fear. Thinking he’d like to stretch his legs, I plucked him from the box and placed him on the grass. He wobbled a lot, unable to find his footing. This only made him cry louder, more desperately. This was the first time I had ever been close to a baby anything so young. Human moms, I knew, picked up their babies — providing warmth and touch — to comfort them, to let them know everything is okay. I looked down at the wobbling, crying fawn for a moment, and then scooped him up in my arms. Immediately, he stopped crying. It felt as though I stood there for an hour with the fawn in my arms, waiting for someone to tell me what to do with him. I knew my director was looking for a place that would take him so he wouldn’t have to be euthanized. 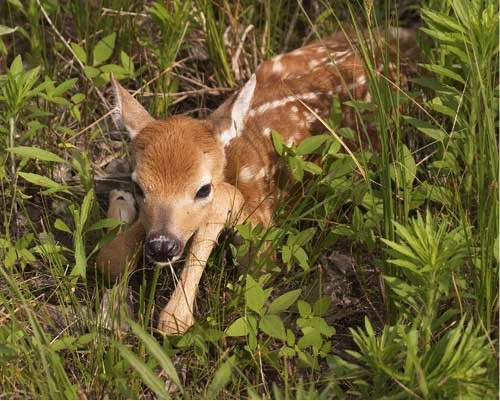 Under New York State law, wildlife hospitals aren’t allowed to do anything beyond providing basic first aid to deer, who are considered a nuisance species in the state. This means no long-term care, and certainly no rearing of orphaned fawns. Despite this, some rehabbers and clinics skirt the law. Finally, my director came outside. She told me she had found someone to take in the fawn and then explained what had happened. The woman and her son were hiking in the park near the location of our hospital. They saw the baby and his mother off a trail in a clearing. When they approached, the mother bolted. They called the park staff to come and help. The park ranger, unsure of what to do, boxed the baby and brought him to our hospital. Exactly what — as in the case of the baby bison but also any other uninjured baby animal — you are not supposed to do. 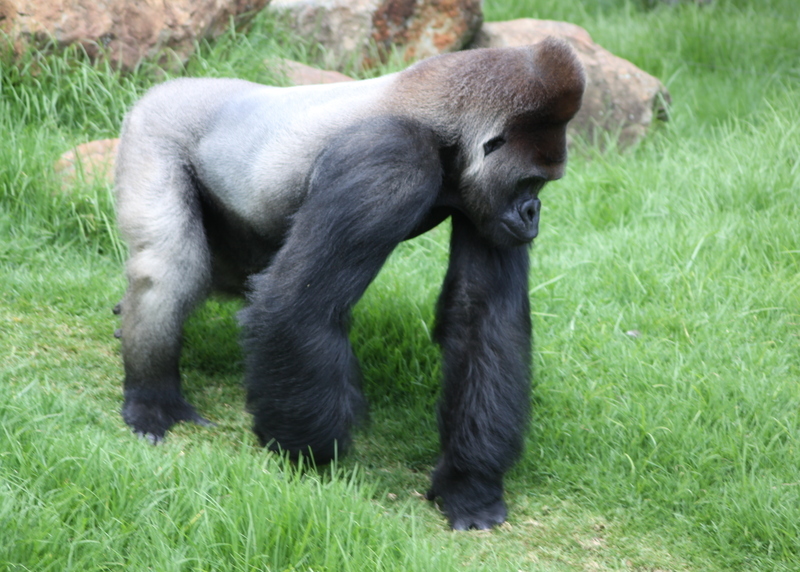 While mothers may temporarily leave their babies if humans approach, they almost always come back. In some cases, such as with rabbits, mothers routinely leave their young unsupervised when looking for food or defending their territory. The best thing you can do for animals is to know what to do: If you find a baby that seems healthy (i.e., not bleeding or lifeless), let it be. Come back several hours later if you are concerned. See if mom has swooped, hopped, or trotted back to baby. On occasion, mother animals do abandon their babies. We will likely never know if this was the case for the baby bison at Yellowstone. It’s possible, as park rangers posited, that his mother might have purposely left him. More likely, however, it appears human intervention is to blame for scaring off mama bison. Rangers opted against placing the baby with a rehabber because it would be costly — requiring a quarantine facility to house the baby bison for a lengthy period of time while determining whether or not the bison carried brucellosis, a disease that can cause mother bison, elk, and cows to miscarry. Supposedly without an alternative, Yellowstone park rangers killed him. Unlike the bison, we didn’t euthanize the newborn fawn that day. But I never did find out what happened to him. My director, visibly infuriated by the situation, never again brought it up. And, not wanting to upset her, I never asked. 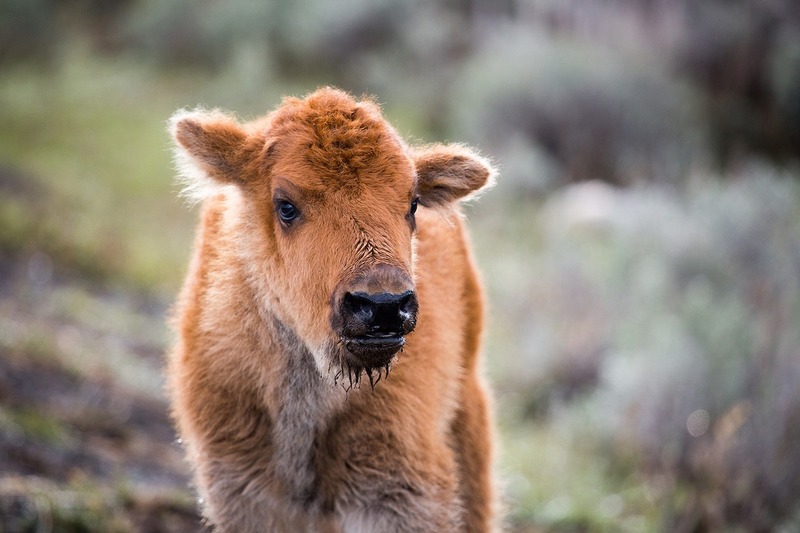 The baby bison and newborn fawn led vastly different lives: One lived in a national park on the West Coast, the other in a state park on the East Coast; one had been put directly into the trunk of a vehicle, the other into a cardboard box; one was shot, the other was spared. Yet, they share a similar life experience in that humans’ empathetic impulses to help them survive radically altered the outcome of their lives. Helping other animals is more than a matter of stepping forward; the most compassionate response sometimes requires that we step back. 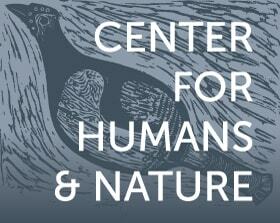 Erica Cirino is a science writer and artist who explores the human connection to nature—wild creatures in particular—in both her writing and art.